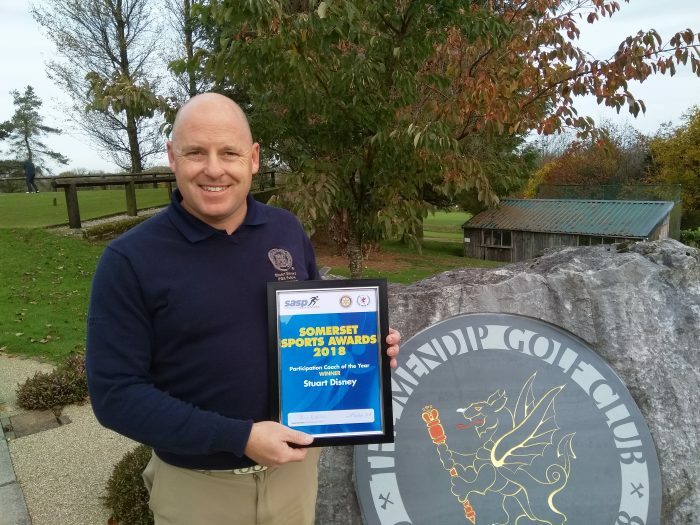 The PGA Fellow Professional at The Mendip Golf Club talks about the programmes he’s introduced to benefit non-traditional golfing profiles such as disability groups, and how his pro shop won a ‘Most Improved Business of the Year’ award. James and Susanne strictly control my diary. I have dedicated times for coaching, meetings, membership interaction and administration. They are the ones that enable me to do what I am good at and they have such a drive to continually improve the offering to the members and visitors. I can’t do what I do without my team behind me and they are so important to the success of what we do. When I started in May 2017 at The Mendip Golf Club, we had just three junior members. We now have 53. I started this process by conducting a Saturday Junior Academy and during the first year, mostly members’ children and their friends joined us for coaching. I then introduced ‘Golf Access’ which helped us to get more juniors playing on the course and I then got into my local primary school, which really accelerated the process. Going to local village fetes and into the community helped us to raise our profile and we also held an open day which massively helped us. This also helped to get into more schools and working closely with the Golf Foundation, we were able to set up satellite clubs, grow our Saturday Junior Academy and ensure we engaged with our juniors for playing opportunities and coaching. I have now taken on the role of junior organiser, we have a ‘Junior Council’ with a board member and junior captain and vice captain, and have now entered the Somerset Junior Golf League for the first time in a number of years. With a local company sponsoring the junior team this year, it’s an exciting time for the club! 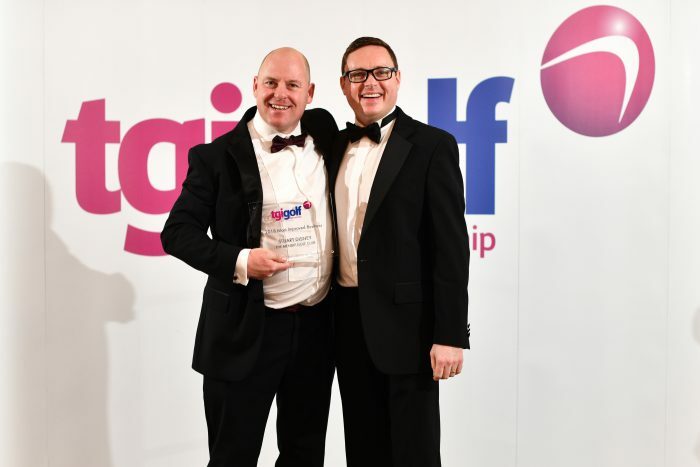 Stuart (left), winning the ‘Most Improved Business of the Year’ award from TGI Golf’s retail consultant, Ricky Gray. I am always looking at ways I can get more women playing and have run some initiatives to help this. One such initiative that helped the club was a ‘Member’s Guest Day’ in which each lady member was invited to bring a non-golfer to the club, have some free coaching and a show around the course followed by some holes and a social gathering in the clubhouse afterwards. This helped us to get more women onto our Get into Golf programme and the lady members also became ‘golf buddies’ to help introduce the newcomers to the game by playing with them. The network we created has helped us to generate more lady members and our Get into Golf programme is going from strength to strength. Do you have any programmes in place such as academy membership to make it easier to introduce beginners to the game? I have introduced various membership options to the club since I started. How golfers choose to join clubs has changed forever and they are always looking at ways in which they can join clubs to suit their lifestyle. We have a range of age group categories: 18-22, 23-29, 30-34 and 35-39 year olds. This helps us to catch these important age groups and have also introduced a ‘Lifestyle Category’, which is a points-based membership system for those looking to come into the game and also does catch those who were looking to leave the club because of a variety of reasons such as not playing enough to justify a full membership. Members of the Exeter Royal Deaf Academy. Stuart has learnt sign language to be able to teach golf to people who have hearing loss. 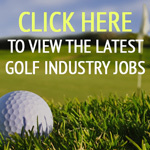 I joined TGI Golf in May 2009 when I took up my first head pro post. I was attracted to TGI because it enabled me to become my own brand, with amazing support behind the scenes. TGI Golf has shown to be of huge benefit to me as a PGA professional. I am a proud PGA member and I attend many PGA CPD courses to keep me up to date from an educational perspective. TGI Golf has only enhanced this with strong links to Crossover Technologies, the brilliant retail consultants, the business conference, TGI Golf events … the list goes on. The TGI Golf Partnership helps me to raise my profile to my members, gives me the support to grow and is the perfect partnership in conjunction with the PGA. I turned professional in December 1990. I qualified as a PGA professional in 1993, becoming one of the youngest ever to qualify aged just 19. I reached the final qualifying round for the Open Championship at Royal St Georges in 1993, before I won the Devon Professional and Assistant Professional Championship in 1994. I played on the PGA European Challenge Tour in 1996 before focusing my attention on developing the game of golf and coaching. I held various coaching positions throughout Devon, becoming Devon County Girls’ coach in 2003. I held this post until 2011, helping the girls become three-time South West Jamboree winners. 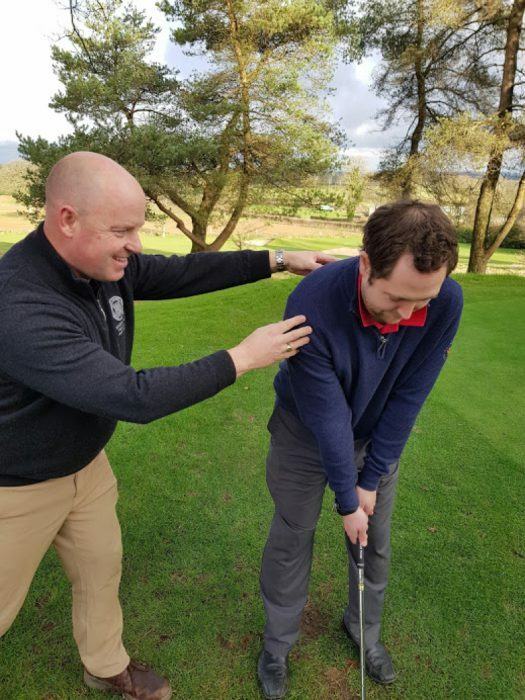 I became the first British-based PGA professional to pass the ‘PGA Advanced Diploma in Golf Studies’ in 2007 and became a PGA Advanced Professional. My coaching led me to develop my skills further and I started to coach into the community and my ethos that golf is a game for all. 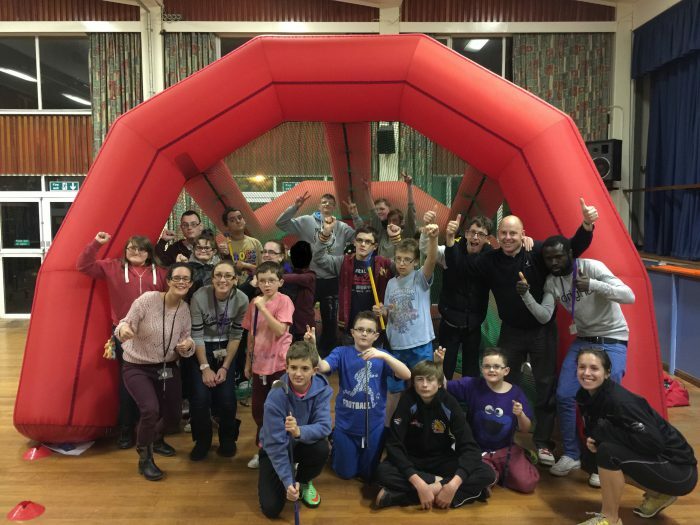 I worked with a number of disability groups, including the Exeter Royal Deaf Academy and created links through the county sports partnership, Active Devon and delivered golf at a number of events such as the Devon Ability Games, Special Olympics North Devon, Blue Light Days and at county shows. I was awarded the Devon Sports Award for my ‘Contribution to Inclusive Sport’ in 2016 and the PGA recognised my work as not only a golf coach but as a club professional as ‘inspirational and exceptional’ in awarding me PGA Fellow Professional status. I am continuing my professional development and my goal is to become a PGA Master Professional. My work has also been honoured by the PGA with the ‘PGA Development Professional of the Year 2016’. I was awarded the Somerset Activity and Sports Partnership ‘Participation Coach of the Year 2018’ and I am also the Somerset County Girls Lead Coach. I am honoured to be the PGA Fellow Professional at The Mendip Golf Club and I look forward to developing the relationships with the club members and helping the golf club to grow. I was also recently recognised by TGI Golf as the ‘Most Improved Business’ at the group’s awards night at Trump Turnberry.